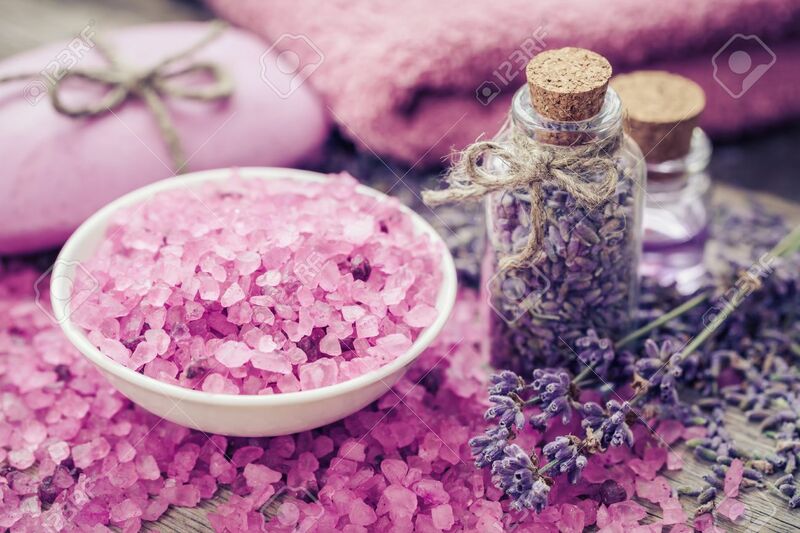 Aromatic Sea Salt, Bottle Of Dry Lavender, Essential Oil And.. Stock Photo, Picture And Royalty Free Image. Image 47628046. Stock Photo - Aromatic sea salt, bottle of dry lavender, essential oil and lavender flowers. Bar of homemade soaps and towel on background. Selective focus. Aromatic sea salt, bottle of dry lavender, essential oil and lavender flowers. Bar of homemade soaps and towel on background. Selective focus.